The bottle is not very fancy-shmancy but I quite like the simple look of it. It's like the polish doesn't need added confetti to sell itself :) The cylindrical glass bottle is sturdy (I've dropped it a few times, and it hasn't shattered, thank god!) and leak proof. The handle of the brush is quite long as you can see, which does make storage a problem sometimes. 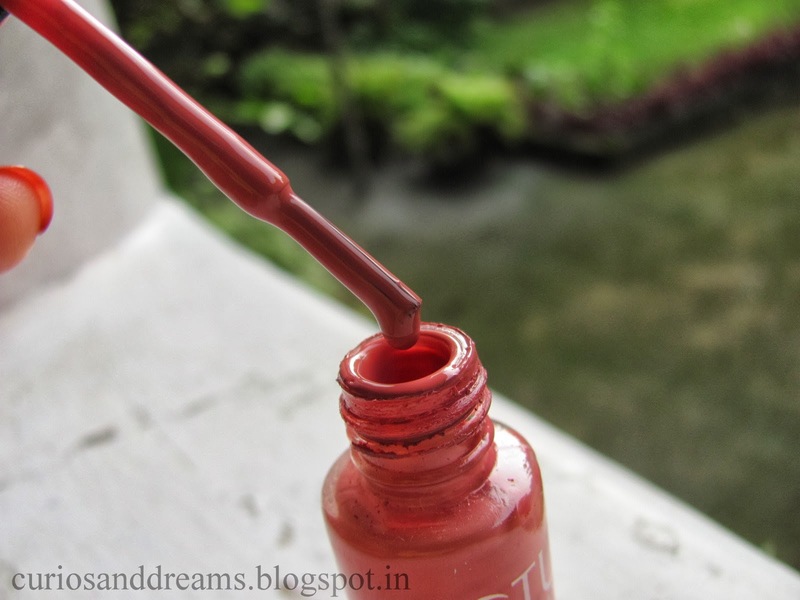 Coming to the shade, it's a gorgeous dusty coral pink which will flatter nearly all skintones. When I first saw it sitting on the counter, I wanted to whoop out loud, it is thaaaaat pretty! Plus, now that I'm back home, I wasted no time in trying it out on Mummy and Dadi, and yes ladies, this shade is timeless. This kind of coral pink is muted, chic and very feminine, ideal for office wear, or formal occasions, or when you're in the mood to give your neons a rest. 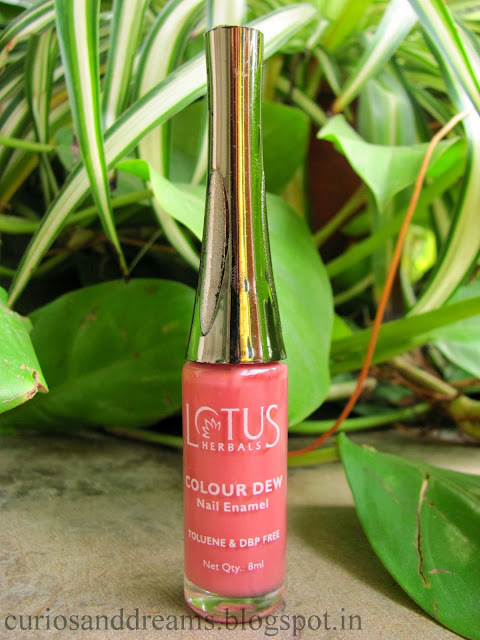 This shade does require two thin coats to go opaque, but I have seen that the colour does not change with layering (as you may have experienced with Lakme nail polishes). 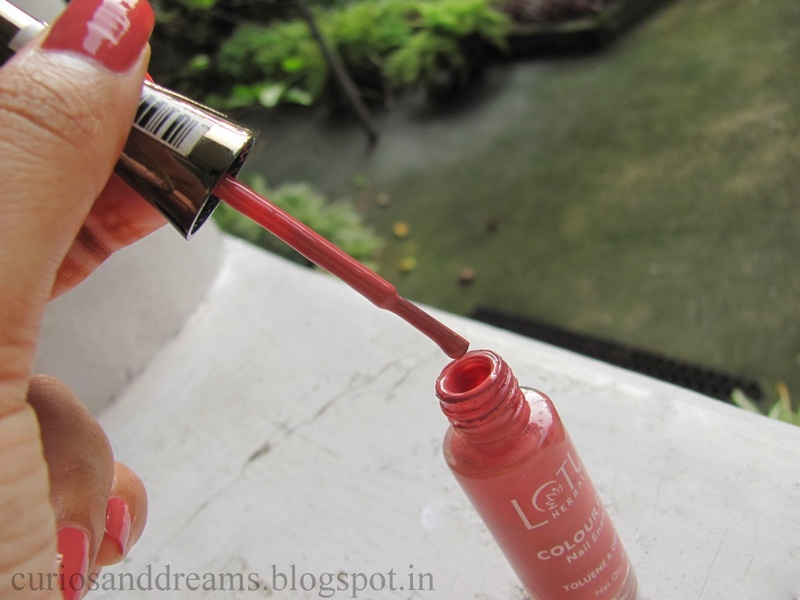 It dries quickly to a glossy creme and wears well for 3 days. Beyond that you will notice a decrease in the shine, and tip erosion. 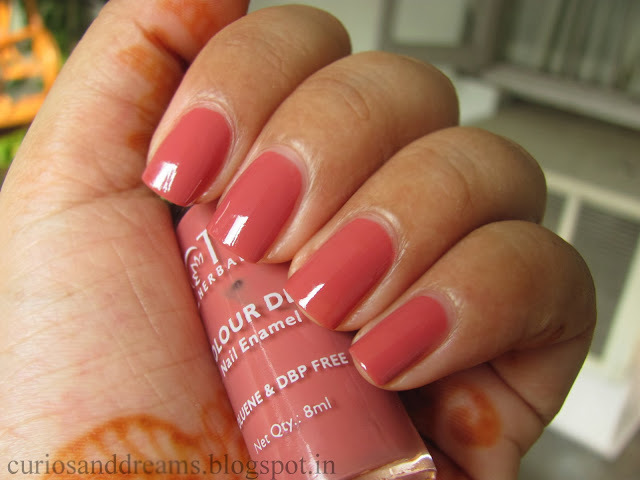 Looking at all that, I'd definitely recommend you to check this shade out, if not for yourself then for your dear Moms. It won't disappoint you, I promise!